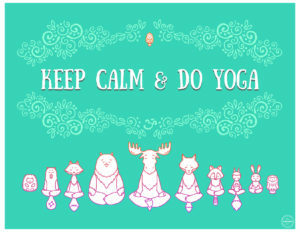 Keep calm and do yoga. No one can deny that yoga helps to calm children. Hang up this reminder in your therapy room, classroom or yoga studio. You can print it in color or choose 2 different black and white posters that the children can color for you to hang up. Try using it as a motivational tool – if the child colors in the picture and demonstrates a yoga pose you earn a reward. 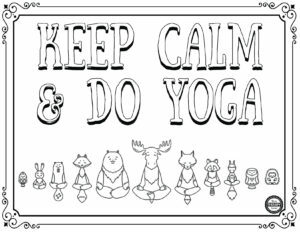 Need some reasons of why you should start a yoga program with children? Read 10 Reasons Why Yoga is Beneficial for Children. 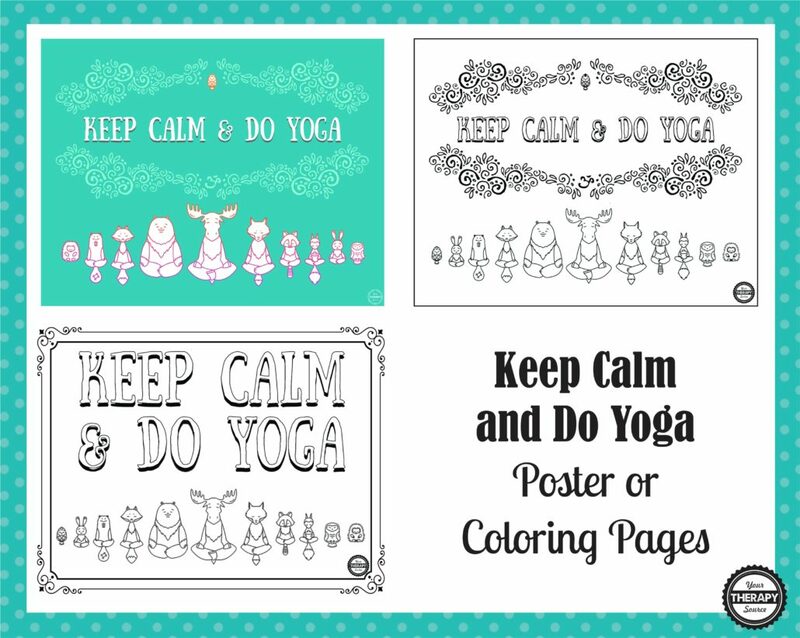 Download Keep Calm and Do Yoga Posters. Illustrations created by Cartoon Based Lifeforms and used under a Shutterstock license. 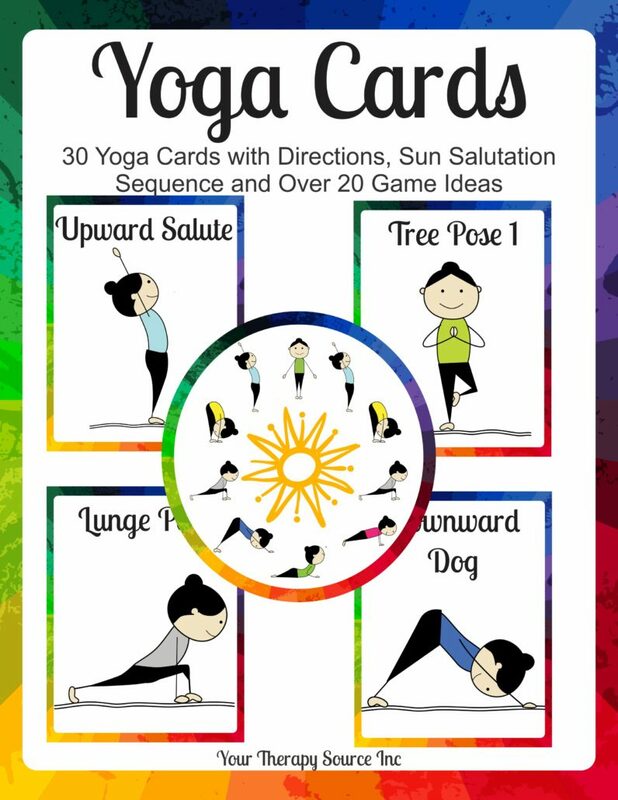 Yoga Cards and Games Ideas – This download is a collection of 30 full sized yoga cards (8.5″ x 11″) with directions, Sun Salutation sequence and over 20 game ideas with small size yoga cards (4″ x 5″). They are reproducible for the clients on your caseload or students in your classroom. Send them home for carry over activities. 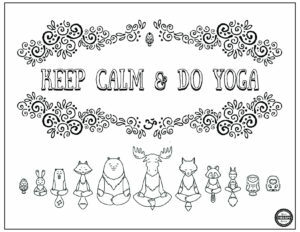 Yoga Cards help to improve muscle strength, increase flexibility, relieve stress and calm the mind. FIND OUT MORE INFORMATION.